Modelling career has a lot of scope but very few are selected for the modelling positions. Young models who aspire to work with Forever 21 are not aware of the challenges posed by this career. You need to prepare yourself physically and mentally before you venture to be a part of the brand. Here are some facts and suggestions for individuals who aspire to work with Forever 21 as a model for Forever 21. The information has been gathered to assist budding models. At a young age, very few individuals understand their skills and abilities. If you have identified the hidden love for the fashion industry and you think you wish to pursue modelling as a career, take steps in that direction. You may then need to work on your measurements as the brands need perfect figures to represent them. Once you are sure you are great for modelling, learn about the brand you wish to represent. Forever 21 is an America chain of fashion retailers that has its stores across the globe. The brand is popular for its wide range of men’s, women’s and kids’ line of clothing and accessories. The brand has its branch all over the globe and is always in the search of fresh and enthusiastic models to represent the brand. If you wish to pursue modelling as a career, or are confused how to start modeling for stores, the brand is a great option to start off your career. Like every career, modelling is also a career where you need to take a lot of effort. You can enter the modelling field only if you fulfill all the criteria expected of models. Once you find out that you are eligible to be a model, you can take the necessary steps that are listed below. If your dream is to be a Forever 21 model, you should start observing all the models of the brand. Try and understand what are the skills they possess that make them ideal candidate for modelling for the brand. Observe their style and poses. Try to improvise your gait to match theirs. Observe the outfits worn by these forever models and see how they carry the attire. You need to select similar attires for yourself. You should try and wear the outfit with the same ease, comfort and confidence. This will be necessary if you wish to represent the brand. You need to create a very impressive and eye-catchy portfolio if you wish to be noticed by the recruiters for the brand. You may have to dedicate a few afternoons to get yourself photoshot. You may need the help and guidance from proper make-up men and photographers. Make sure you create a portfolio that is just perfect. You may even use the photoshoots of popular models as an example. Forever 21 hires models only through agencies and thus you need to pick a good agency to market your portfolio. You need to make a wise choice so that your portfolio is noticed by the brand. You must select an agency that has handled brands like this before. They may even be able to provide firsthand advice to you regarding the steps you need to take. They can also point out if anything is lacking in you. Majority of the casting calls are usually targeted towards agencies. 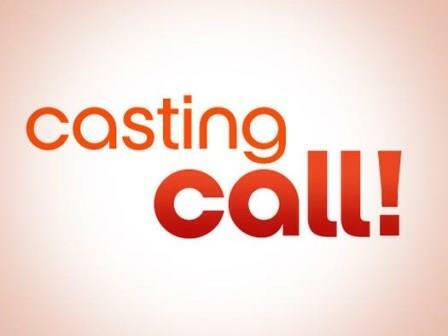 If you have selected an agency for representing you, you may easily access such casting calls. On rare occasions, the casting calls are also targeted towards individuals. There have been such events held by the brand earlier. These casting calls are ideal opportunities for budding models to interact with the brand’s management. If you maintain good contacts with the brand’s representatives, there are greater chances that you will land up in the right job soon. You may also stay in touch with the brand’s representatives through various social networks. 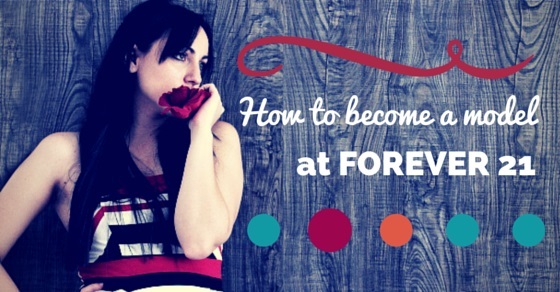 It is quite possible that you do not become a Forever 21 at the very first try. You must still practice your skill and this can be best achieved by modelling for other brands. You must stay fit and model for events and occasions where you can highlight your skills. You never know when opportunity knocks at your door so make sure you use every channel possible to market your trade. The job at Forever 21 is in great demand. The recruiters also have some basic expectations from the candidates who apply. If Forever 21 contacts your agent for a job opportunity, here are some of the criteria they will expect you to fulfill. To work in a retail store, you should be capable of communicating properly with the customers. This applies not just to other employees but also to store models. If you wish to be hired by this brand, make sure you furnish your language and communication skills. If you have stage fear or fear of communicating with people, you need to work on this aspect by continuously speaking and rehearsing. If you put in persistent efforts, you will surely achieve your goal. 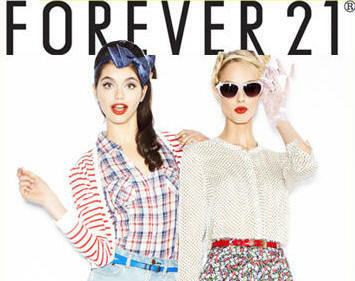 The company has defined a particular age requirement for forever 21. They have the stipulated age requirement to work at Forever 21 as per the industry standards and you need to be atleast 16 to apply for a job at the store. You need to fulfill other criteria and be capable of handling the position given to you. Most of the brand stores look for models with prior experience in the retail industry. An experience in the retail industry will help them avoid spending excess money on training the candidate. You may be an eligible candidate for a store model’s position but you must be able to reveal this fact in an interview. The interview decides your fate in the modelling career. If you wish to represent this brand, you must make sure that you wear the outfits of this brand for their interview. The brand looks for people who are proud of the brand and are aware of the brands’ core competencies. You should also be able to explain to the interviewers why you wish to represent the brand. Many youngsters who are a fan of this brand proceed to pursue a career with them. This is vital for any kind of job interview. You need to appear confident and stress free. You must maintain a cool composure and should emanate a positive energy. If you come across questions for which you do not know the answers, you must simply say that rather than stammering or getting nervous. The Forever 21 brand sells many different types of outfits and in many different styles. The knowledge of the different styles is very important so that you can market the products to the customers. You should be able to make valuable suggestions to the customers regarding the various styles that suit the various figure types. You need to have the love for fashion and style. You need to understand the aesthetics of fashion. Why Individuals opt to work as models Forever 21 brand? The application process at the stores of this brand is really simple and you will be told onsite if you have been selected. The individuals who are not selected are usually informed in a week’s time. People usually choose to get into brand stores due to the myriad benefits of being in this kind of job. The brand offers competitive pay scales and training that is paid. Individuals also enjoy special discounts on merchandise that help them purchase the brand’s products at a much cheaper rate. The employees at Forever 21 enjoy medical coverage and disability insurance if they are eligible for it. They also have good retirement schemes for the eligible candidates.